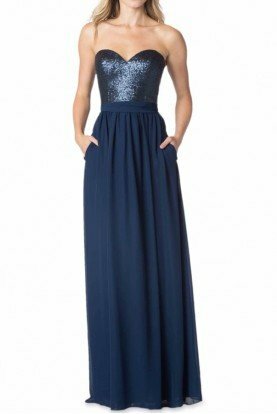 Wear this festive full-length dress by Scala P12026 to prom and you will ready for an evening of dancing and celebration. The ruched bodice features a neckline that plunges to the empire waist. 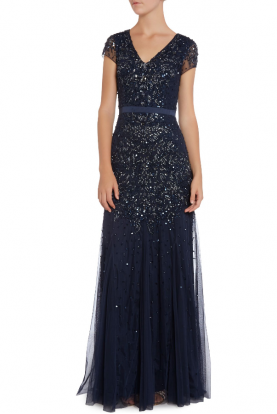 Trimmed with jewels that complement the hue of the fabric, the top of this eye-catching dress sparkles. The sheer overlay drifts over the skirt, creating softness and dimension for this breathtaking design.